The Cosmosphere (Hutchinson, KS) received a $500,000 grant to from the Sunderland Foundation of Kansas City to fund the CosmoKids Discovery Area of the Hall of Space at the Cosmosphere. CosmoKids Discovery Area is scheduled to open early in 2020 and will include STEM-based interactives and space where families can learn through interacting together. Science Museum Oklahoma (Oklahoma City,OK) announced that Schlumberger will provide a matching grant of $90,000 to help renovate the museum’s energy exhibit, Energy Quest. Energy Quest will feature more than 2,000 square feet of space and provide an immersive environment to explore the science, technology, engineering and math (STEM) associated with energy production in Oklahoma. Capital improvement funds of $600,000 were released to the Kona Historical Society (Kealakekua, HI) for the construction of The Kona Museum Gallery. The two-story, 1,360 square-foot building has been designed to blend seamlessly into the historic buildings and landscape surrounding it and will include an exhibit area, retail area, storage, and restrooms. The Center for Jewish History (New York City, NY) received a $2.5 million matching grant from Arcadia, a charitable fund of Lisbet Rausing and Peter Baldwin, to make photographs, primary documents, and other archival material detailing the history and living legacy of Jews in the Diaspora more accessible to the public. After 12 years of leading the Putnam Museum & Science Center (Davenport, IA) through some major changes, growth and exhibits, president/CEO Kim Findlay plans to retire June 30. The Putnam’s fiscal year starts July 1, and Findlay hopes to transition with a new CEO in place by mid-June. What do we love more than helping you navigate the Smithsonian? Sending someone from the Smithsonian to your neighborhood! Our people are our greatest resource and when new curators join the Smithsonian family, we like to share their stories with our network. 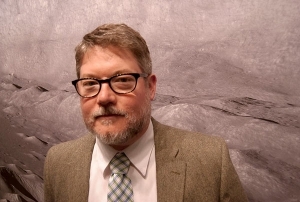 In this edition, we spotlight Dr. Matt Shindell, curator in the Space History Department at the Smithsonian’s National Air and Space Museum, who has written a new book, The Life and Science of Harold C. Urey, scheduled to be released in the October 2019. Harold Clayton Urey was an American physical chemist whose pioneering work on isotopes earned him the Nobel Prize in Chemistry in 1934 for the discovery of deuterium. He played a significant role in the development of the atom bomb, as well as contributing to theories on the development of organic life from non-living matter. To understand more about Urey, we asked five questions of Dr. Shindell. Tell us a little about yourself and how you came to be interested in your area of expertise? I was always interested in science when I was a kid. I found science museums and books about space fascinating. When I went to college, I thought that I would become a scientist. But I soon discovered a related field called the history of science and found that I enjoyed exploring science’s past even more than I enjoyed science itself. I ended up pursuing a Ph.D. in history – something my younger self would never have predicted. My first big project in history of science was about the history of Mars exploration, in which I asked the question, where did the methods we use to explore other planets come from? A lot of these methods came from the Earth-based sciences of geology and geochemistry. This led me to the topic of my new book, the chemist Harold C. Urey. Urey was one of the first geochemists to devote his research program to the study of the Moon and planets. This brought him into the small group of scientists who worked with NASA on its lunar exploration program, including the Apollo missions to send humans to the Moon. But he didn’t start out as a planetary scientist. He had already had a long and distinguished career – including winning the Nobel Prize for the discovery of deuterium (heavy hydrogen) – by the time the Space Age began. I wrote this book as an exploration of how and why Urey decided to focus his later career on the evolution of the solar system. What have you enjoyed most about writing this book? What has been an unexpected discovery, if any? As I spent time researching in Harold Urey’s personal papers, I discovered that he had a very interesting past that hadn’t really been explored by other historians. He was born into a very poor, rural, and religious family. His father was a minister in the German Baptist Brethren church – today known as the Church of the Brethren. When Urey was born at the end of the 19th century, the church was still very much a traditional Pennsylvania Dutch organization. Their style of dress and agricultural way of life was a lot like what we today associate with the Amish church. Urey’s parents grew up on small family farms in Indiana. And, at least during his childhood, this is the life that Harold Urey lived, too. It was a life full of prayer and religious observance. In his later life, Urey didn’t talk much about this past. However, during the Cold War, when he found himself full of anxiety about the state of the world and the potential destruction of nuclear war, the maintenance of religion became very important to him. When asked to speak publicly, Urey would tell his audiences about the amazing discoveries of science, but also would argue that it was vital to retain the moral teachings of the traditional religions. I found his desire for science and religion to coexist very interesting, and this became one of the major themes I tried to trace throughout the book – including in Urey’s lunar work. What sparked your interest in him and why is it important to capture his story? 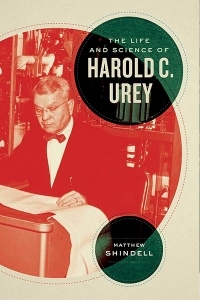 I first became interested in Harold Urey because he had participated in so many big moments in American science. He worked as a chemist in Philadelphia on explosives during World War I, he then went to graduate school at the University of California where the chemists and physicists were arguing about the structure of the atom, this interest in atoms took him to Niels Bohr’s Institute in Copenhagen after he graduated, and then he came back to the US and made his Nobel Prize-winning discovery of deuterium. His big discovery cemented his reputation as one of the world’s leading physical chemists. So when World War II broke out and the physicists stepped forward with plans for an atomic weapon – prompted by their fear that the Nazis were already working on such a weapon – it was Urey who ended up managing part of the operation to purify the uranium-235 fuel for that weapon. After the war, Urey was jaded and not interested in carrying on his pre-war research program, and he instead turned to studying the Earth, Moon, and planets. This eventually brought him into contact with NASA, and he became involved in the lunar science program connected to Apollo. Because he participated in so many important moments of 20th-century science, I believed that following his career would allow me to make connections between these moments that historians often treat as separate and distinct. I also saw in his life story a good example of what it meant to be an “American” scientist; I tried to focus in the book on the ways in which Urey constructed his professional identity in the context of two world wars and a Cold War, during which the definition of what it meant to be a good American shifted. And I also looked at how he struggled with a religious identity that marked him as different from his peers, but that nonetheless remained important to him throughout his life. What would you like to share with Affiliates? And what would you like Affiliates to share with you? I would like to share this story of a pioneering scientist, his place in the dramatic story of the growth of American science in the 20th century, and his struggle to balance scientific modernity with his own religious past. What is your next project and what are you looking forward to with it? For my next project, I am attempting to write a history of Mars exploration that focuses on the work done by humans here on Earth to explore a faraway planet on which they will never set foot. Robots will be a part of this story, too, but I really want to put the focus on the people behind the work of the rovers. I am looking forward to making connections between different historical periods of Mars exploration – from telescopes, to spacecraft, to rovers large and small. I am also looking forward to imagining what future exploration may look like – and whether or not it will involve humans on Mars. 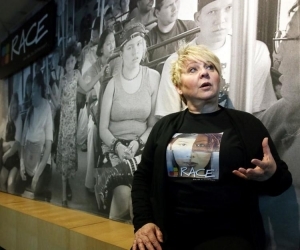 Interested in bringing Dr. Shindell or other Smithsonian scholars to your organization? Contact your National Outreach Manager! Smithsonian Distinguished Scholar Dr. Richard Kurin will give a talk on the History of America in 101 Objects at the Peoria Riverfront Museum in Peoria, 5.2. 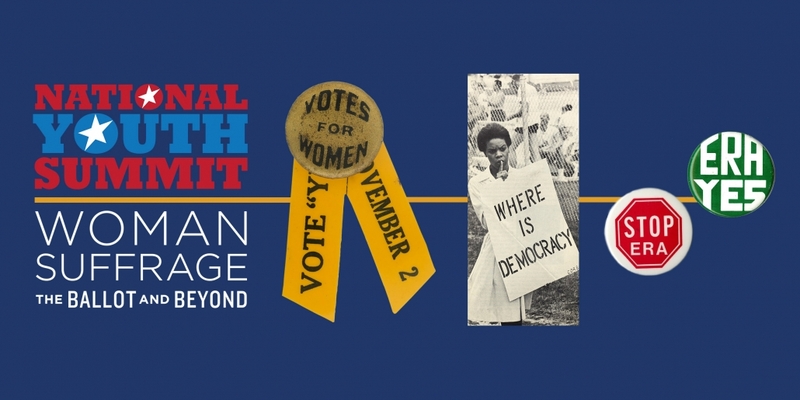 11 Affiliates will collaborate with the National Museum of American History to present a National Youth Summit on Woman Suffrage: The Ballot and Beyond on 5.21. Thanks to the Arab American National Museum (Dearborn, MI); Cerritos Library (Cerritos, CA); Conner Prairie Interactive History Park (Fishers, IN); the Durham Museum (Omaha, NE); Heritage Farm Museum and Village (Huntington, WV); History Colorado (Denver, CO); International Storytelling Center (Jonesborough, TN); Ohio History Connection (Columbus, OH); The Witte Museum (San Antonio, TX); Upcountry History Museum (Greenville, SC); UTSA Institute of Texan Cultures (San Antonio, TX). The Frontiers of Flight Museum will open the Art of the Airport Tower exhibition from the National Air and Space Museum in Dallas, 5.13.